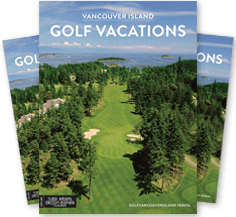 Enjoy the best that Parksville and Courtenay have to offer with this incredible getaway: Luxurious on-course accommodations, incredible scenery and some of the best hidden-gem golf courses in all of Canada. This is a golf vacation you won’t soon forget. Prices are per person based on dbl occupancy in Canadian dollars and are subject to applicable taxes. Upgrade to a one-bedroom suite for $75 per person Jan 1 – April 30 and Oct 1 – Dec 31 or $90 per person May 1 – Sept 30. *Course substitutions are available. 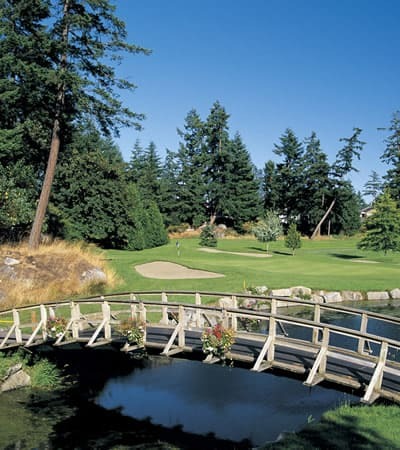 Ask us about other available courses including Eaglecrest in Qualicum Beach and the brand new Campbell River Golf and Country.